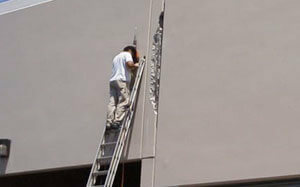 Welcome to Concrete Restoration Systems, Los Angeles' experts in concrete repair, restoration, and protection services. Our specialties include concrete crack repair, foundation repair, industrial floor repair, decorative concrete repair, historical building restoration, earthquake damage repair, and waterproofing. We also offer professional waterproofing applications for wood decks. Since 1990 we've served thousands of satisfied residential, commercial, and industrial clients throughout Los Angeles County, including Los Angeles, Long Beach, Santa Monica, Encino, and Redondo Beach. 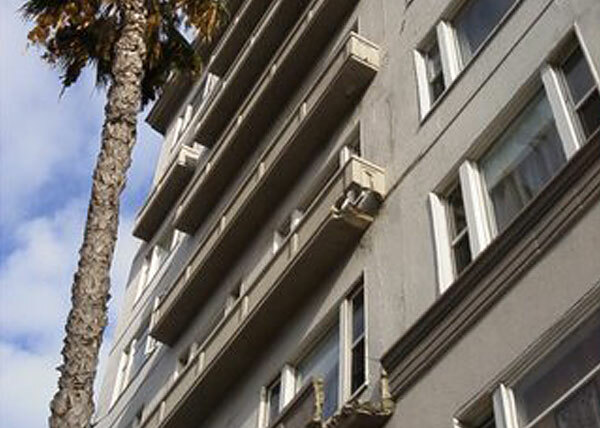 Some of our most recognizable restoration projects include the Beverly Hills Hilton, the New Mart building in LA's Fashion District, and the Petroleum Building in Downtown Los Angeles. Concrete Restoration Systems is a licensed and insured specialty contractor with over 28 years of experience. We're experts in repairing and restoring a wide range of concrete surfaces, including driveways, stairs, balconies, decks, garage floors, warehouse floors, walls, parking structures, and more. No job is too big or too small for us. We'll welcome concrete repair projects, from filling cracks at expansion joints with a semi-flexible epoxy to applying a urethane coating to an entire parking structure to fully restoring a deteriorating historical landmark. Call us today at (714) 996-3177 to schedule your free on-site consultation, Monday through Friday from 6:30am to 5:00pm. Concrete Restoration Systems has over 28 years of experience providing residential and commercial concrete crack repair services in Santa Monica, Los Angeles, Encino, Redondo Beach, Long Beach, and surrounding cities. 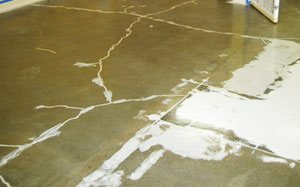 We can repair a wide array of concrete damage, from cracks in decorative concrete floors to sunken concrete. Whether you have a spalled concrete driveway or deteriorating facade, we have the knowledge, skill, and necessary equipment to properly repair the damage to create durable, lasting results. Our commitment to honest business practices, excellent workmanship, and competitive pricing have earned us a reputation as the best value in concrete crack repair in Los Angeles County. We've repaired damaged and cracked concrete surfaces for homes, warehouses, retail centers, hotels, high rises, apartment buildings, schools, and more throughout the Greater LA region. Structural damage to a building can be caused by ground settling, earthquakes, severe weather, construction defects, or simply years of wear and tear. 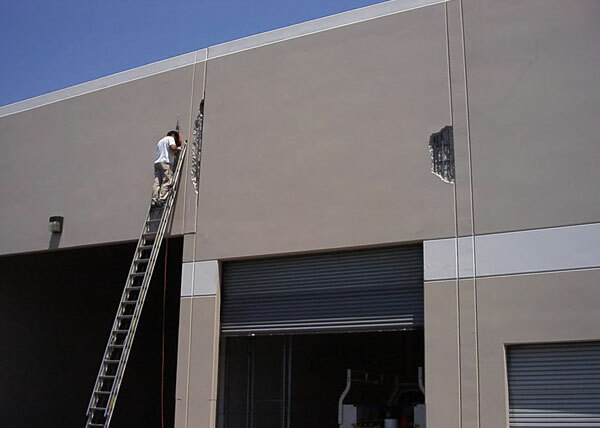 When structural damage occurs, it is important to hire a trusted professional to assess the damage and provide the appropriate repairs. When you hire Concrete Restoration Systems, you'll receive honest recommendations, exceptional workmanship, and quality results that will last for years to come. 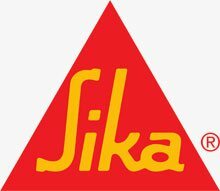 We use the industry's leading products made by reputable manufacturers like Sika, WestCoat, SealBoss, Master Builders Solutions by BASF, and Tremco Inc. to ensure that we achieve the best results possible. When we arrive on-site, our highly experienced foreman will assess the damage, take measurements of the affected area, and explain our recommended solution. When repairing structural damage, we always check for damage to the structure's rebar. Based on the level of damage, we will clean and treat the steel rods or replace them as needed. We use a high-pressure epoxy injection to fill structural cracks, which welds the concrete back together creating a surface that is stronger than the original concrete. Call today to schedule a free on-site consultation for structural concrete repair in Los Angeles, Long Beach, Santa Monica, Encino, and Redondo Beach, or surrounding city. 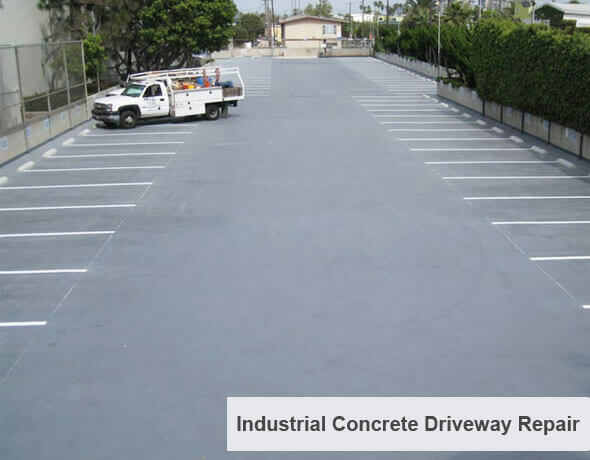 As concrete restoration experts, we are able to quickly and reliably identify when concrete restoration is necessary and provide competitively-priced solutions for clients throughout the Los Angeles area. Our concrete restoration services are ideal for commercial, industrial, and residential properties. We provide comprehensive solutions for historical building restoration, concrete floor restoration, concrete patio restoration, concrete stairs restoration, and more. When restoring a concrete structure, we'll treat or replace damaged rebar, fill cracks with epoxy injections, and buff and seal the surface. When we restore the concrete on your building, it will look great, meet its functional purpose, and provide lasting results. Most of our concrete restoration projects show no sign of prior damage or deterioration once our work is finished. Our attention to detail and competitive prices have earned us a reputation as the best value in concrete restoration in Encino, Redondo Beach, Santa Monica, Long Beach, Los Angeles, and nearby cities. 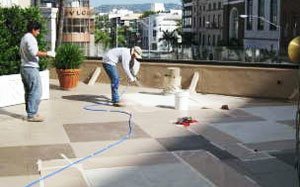 With over 28 years of experience and a reputation for quality results, personalized service, and fair rates, Concrete Restoration Systems has become Los Angeles's trusted source for decorative concrete coating, staining, and faux finish overlays as well as decorative concrete repair services. 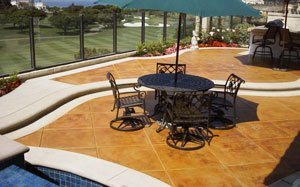 Decorative concrete gives driveways, walkways, garage floors, patios, and other concrete services a beautiful new look and adds value to your property. 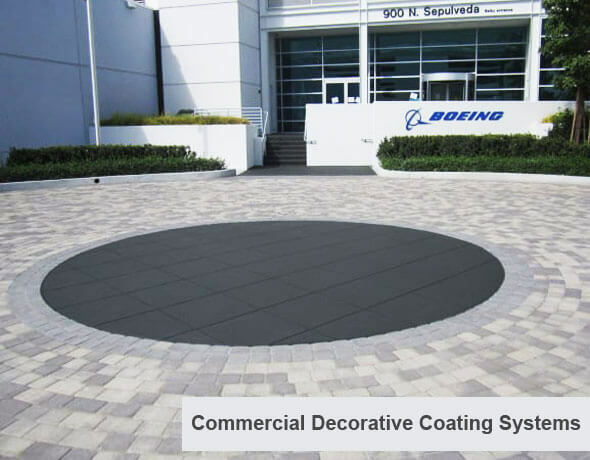 Our decorative concrete coatings last between 5 and 10 years and are available in a variety of colors and styles to complement the look of your home or business. 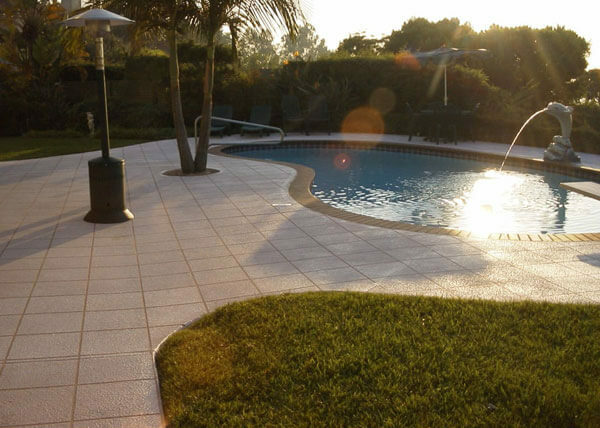 We also offer quality decorative concrete crack repair services at very reasonable prices. 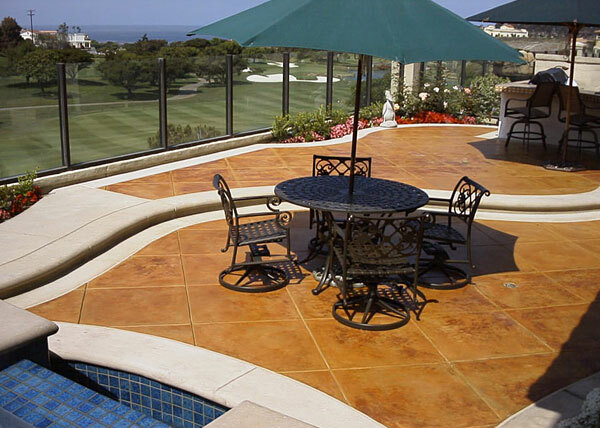 Call today for a free estimate on our decorative concrete services in Redondo Beach, Santa Monica, Long Beach, Los Angeles, Encino and other cities throughout Los Angeles County. In addition to concrete repair and restoration services we also offer professional wood and concrete waterproofing services in Long Beach, Los Angeles, Encino, Redondo Beach, Santa Monica, and surrounding cities. We use the best waterproofing systems made by the industry's most trusted manufacturers: Master Builders Solutions, Sika, SealBoss, and WestCoat. To ensure that we provide every client with the best protection available, we frequently attend trainings by these manufacturers and distributors, such as Euclid Chemicals, GE, or Dow Corning to stay current on the latest and best waterproofing systems and techniques. Today's waterproofing technologies offer excellent water damage protection for pool decks, garage floors, warehouse floors, basements, parking structures, decks, railings, support beams, and other concrete or wood surfaces. Contact (714) 996-3177 today to discuss your waterproofing needs and schedule a free on-site consultation anywhere in Los Angeles.